Monterey Park is an exclusive 999 years leasehold condominium situated at 21-33 West Coast Rise Singapore 127464 in district 05. 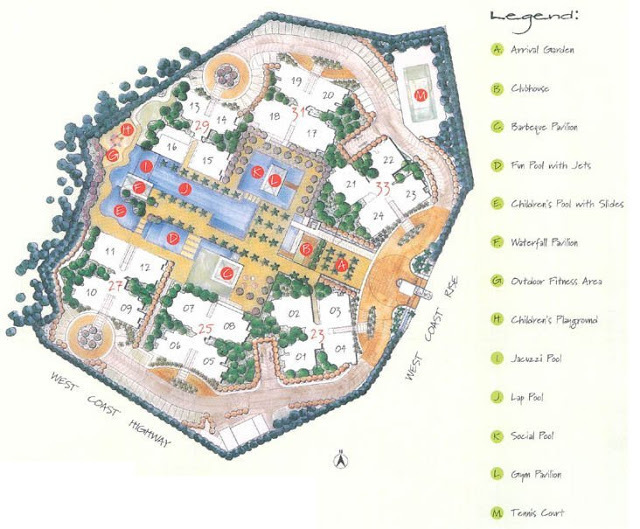 It is completed on 2006 by City Developments Limited. There are a total of 280 luxurious units comprising of 2 bedrooms (106-112 sqm), 3 bedrooms (117-158 sqm) and 4 bedrooms (151-191 sqm). Each unit has full height windows allowing you to enjoy the spectacular views of the lush greenery and the pool. Over here you get to enjoy an exclusively private lifestyle inspired by West Coast, California. Residents here can get to enjoy a wide array of facilities available. You can have a game of tennis, work out in the gym, have a leisure swim, relax in the Jacuzzi, bring your kids to the playground or fun pool, and have a gathering for at the function room or have a BBQ session or Karaoke session. There is also a covered car park and 24 hours security here. Nothing spells elegance like Monterey Park. Experience a new level of indulgences here with unparalleled qualities and comfort that greet you everywhere you turn within this lavish premises. There is a fabulous holistic selection of facilities for you to recharge, rejuvenate and refresh you mind, body and soul. Here you can ease away the tiredness accumulated, immerse you mind and body in complete relaxation and seek inner serenity right in the comfort of home grounds. In a class of its own, Monterey Park Condominum, it is favorably located within the proximity of major roads and public transport. 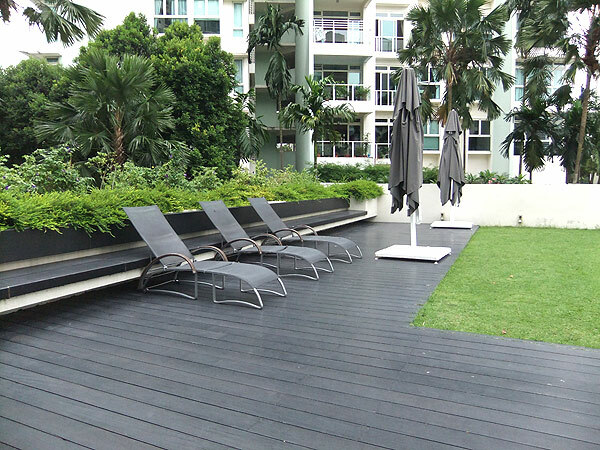 It is located at 21 - 33 West Coast Rise, Singapore 127464 in District 05. The nearest Mrt stations is Clementi Station which is 0.9 km away. Other nearby Mrt stations are Dover and Jurong East station. There are several bus services available here. Residents of Monterey Park can head to nearby malls such as Clementi Mall, IMM, West Mall, Jurong Point, Westgate, Jcube, West Coast Plaza and many more malls to shop, fine dining, catch a movie, banking and grocery shopping. For more shopping options, you can head down to the rest of Orchardshopping district and Marina Bay District which is within 20 minutes’ drive away. Foodies can head towards the famous eateries and restaurants along West Coast Way, Commonwealth Ave West and over at Clementi Central. If you like hawker food, the nearest hawker centers are at Ayer Rajah Food Centre, 726 Food Market & Hawker Centre, Sin Heng Hock Kee Eating House and Teban Gardens Food Centre. The nearest supermarkets are NTUC Fairprice Supermarket at 181 West Coast Road, Sheng Siong Supermarket at 63 Teban Gardens Road and Cold Storage Supermarket at Clementi Arcade. There are many recreational facilities include Clementi Community Centre, Ayer Rajah Community Centre,Clementi Park, Chinese Garden, Japanese Garden, Jurong country Club, Jurong Park, Science Centre and Jurong Golf course. There are few reputable local and international schools in the vicinity; these include Qifa Primary School, Commonwealth Secondary School, The Japanese School, Clementi Primary School, Integrated International School, International Community School and Nan Hua Primary School. For medical consult, you can head to the nearby General Practitioner Clinics, Jurong Medical Centre, Alexandra Hospital, Wespoint Family Hospital and Jurong and Clementi Polyclinic. Jurong Health is also setting up Ng Teng Fong General Hospital in the area to provide specialist healthcare services for the residents. Monterey Park is a tranquil and prestigious place to live in with many amenities in the neighborhood. Take a retreat in the sensory abode with all your favorite indulgences in close proximity. Living here in this urban sanctuary reflects the ultimate dream that make any other possession secondary. It is definitely a true work, play and live nature retreat after a long day at work. Here, you can find equilibrium and tranquility and get fully recharged for new challenges ahead.